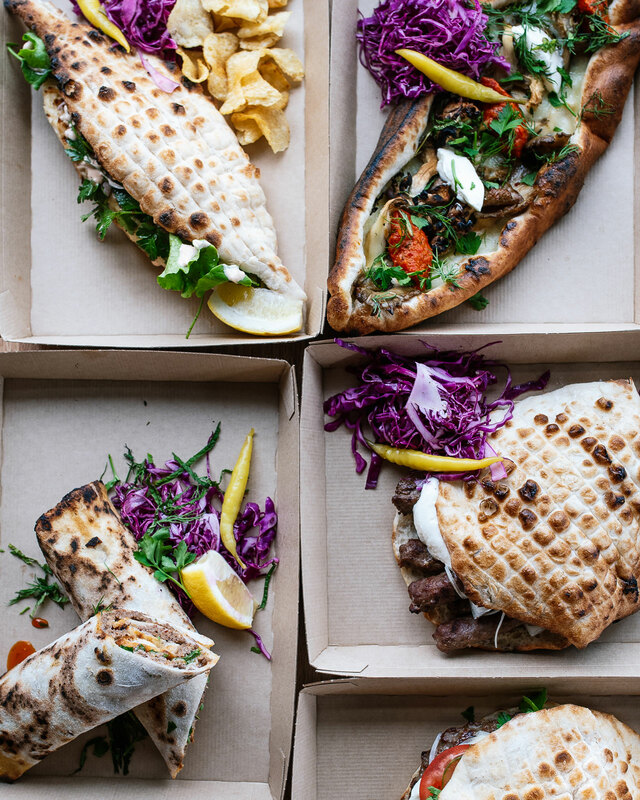 Balkan Treat Box debuts a 1,825-square-foot space in Webster Groves, a suburb outside of St. Louis, with wood-fired flatbreads, grilled beef sausages, and a Bosnian-inspired cheeseburger. 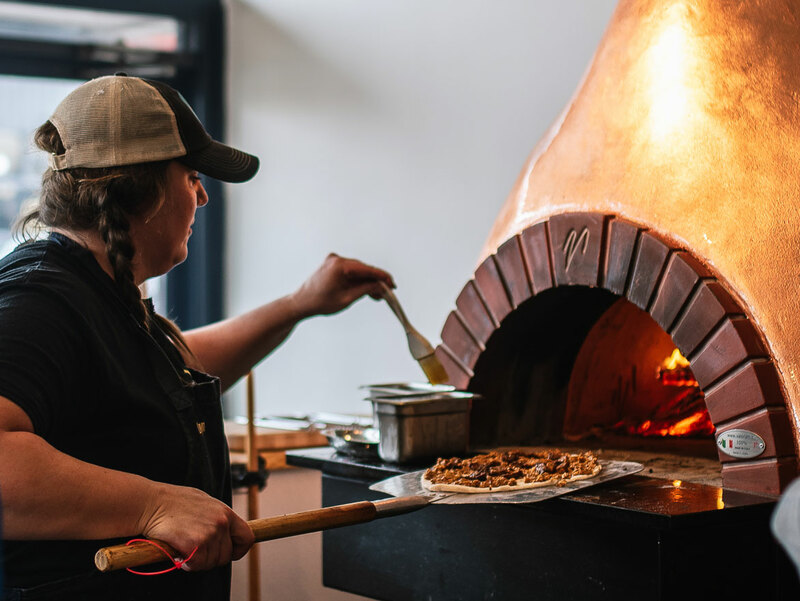 Inside Taft Street, a dark and smoky restaurant in St. Louis, chef Loryn Nalic remembers the moment she laid eyes on Edo Nalic, a Bosnian refugee who, a few years prior, had arrived in Missouri after fleeing his war-torn country. More than a decade later, the Nalics are still very much in love –– both with each other and the restaurant they’ve waited years to open, Balkan Treat Box. The fast-casual spot, which will fittingly debut a day before Valentine’s Day in Webster Groves, a suburb outside of St. Louis, is based on their wildly-successful food truck, which rolled out in early 2017. At the permanent location, the husband-and-wife duo will serve Bosnian fare inspired by Edo’s childhood, including wood-fired flatbreads, grilled beef sausages, and a riff on a cheeseburger. Outfitted with a large metal map of the Balkans, the restaurant features a copper-plated wood burning hearth, perfect for making somun (similar to pita bread), and a charcoal grill and a gas-heated spit, where Loryn creates her version of doner, in which she cooks meat on the vertical split, grills until crisp, and seasons with dried Turkish chili pepper, cumin, and Aleppo pepper. Before launching Balkan Treat Box, Loryn spent years in the kitchen learning from Edo’s aunt, who also lives in St. Louis. She even left the country for the first time in 2013 to travel to Bosnia, where she met Edo’s family for the first time and studied Balkan food from local bakers and chefs. When the restaurant’s colorful 1,825-square-foot space opens Wednesday, customers will get the best of the Nalics’ food truck along with some new additions. Almost every item includes a doughy piece of somun, from Cevapi, a grilled sausage dish with kajmak (a creamy white cheese); to Doner, made with spit-roasted beef, chicken, or tofu and topped with onion, cheese, cabbage, and tomato. Then there’s Pide, a boat-shaped wood-fired flatbread with beef, chicken, or eggplant, and kajmak, ajvar (a spicy, pepper-based spread), and fefferoni. Keep an eye out for newer items, such as Lahmacun, a Turkish-style flatbread, served flat or rolled, and layered with spicy minced beef or tofu, with parsley, lemon, and sumac; the Plieskavica, a “Balkan burger” stuffed with cheese and kajmak inside somun; and the Balik Ekmek, which is comparable to a grilled fish sandwich on somun. Balkan Treat Box. 8103 Big Bend Blvd., Webster Groves. 314-733-5700.